“You do OODA better than anybody I ever met,” was once said to Chef Keith Schroeder, CEO of High Road Craft Ice Cream. Schroeder shared this with attendees of the Research Chefs Association’s (RCA) 2016 Annual Conference & Culinology Expo in Denver. The phrase OODA refers to the decision cycle of “observe, orient, decide and act,” which was developed by the U.S. military. Many today apply this process to commercial operations and learning processes. Just think about it for a moment and why OODA is so important to today’s food innovation process. What these two shows have in common is more companies, and their leaders, practicing OODA. He said: Honor the customer. PEOPLE + CHOICES = REPUTATION. This is so true. If you listen to the consumer, really listen (observe), figure out what piece of the puzzle you can be (orient), decide how to go about being the best puzzle piece you can be and then act on it, you will have a product—a brand--that the people will want. Make the right choices (namely ingredient selection, as it relates to food formulating) when executing the product concept, and you will define your brand. So what do consumers want, the “observe” of OODA? At both RCA and Expo West, there were two recurring themes among exhibitors: 1) Live consciously while eating deliciously and 2) Food with integrity. To read a Food Business News article I wrote about a “Culinary approach to clean label,” based on content collected at RCA, link HERE. In that same session, Chef Leah Sarris, program director of the Center for Culinary Medicine at Tulane University, provided culinary professionals with tips on how to improve the nutrient density of the foods they create. She emphasized the importance of formulating foods with less sugar and increasing the content of nutrients that satiate, namely protein and fiber. “And consumers are asking for more vegetables,” she said. Sarris runs the teaching kitchen in Tulane’s groundbreaking new program that teaches medical students, doctors and patients the tenets of healthful cooking and the significant role food plays in preventing and managing obesity and associated diseases. As the first full-time chef ever employed by a medical school, she uses her culinary background to translate the latest nutrition science into practical strategies patients can take home to reduce their salt intake, cut calories and eat more healthful meals. To read more about Harris and the program, as well as view a video on how healthy food is medicine, link HERE. So let’s talk fiber. As consumers around the world struggle with obesity and related health issues, there’s a push for healthier food choices. Fiber is gaining lots of attention as a way to provide those choices. 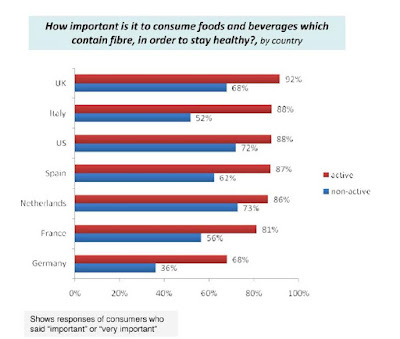 According to a survey of 1,250 males and 1,250 females between the ages of 18 and 64 years in seven countries (France, Germany, Italy, Netherlands, Spain U.K. and U.S.) conducted by Datamonitor Consulting and commissioned by Sensus, the majority of consumers believe that foods and beverages that contain fiber will help them stay healthy. 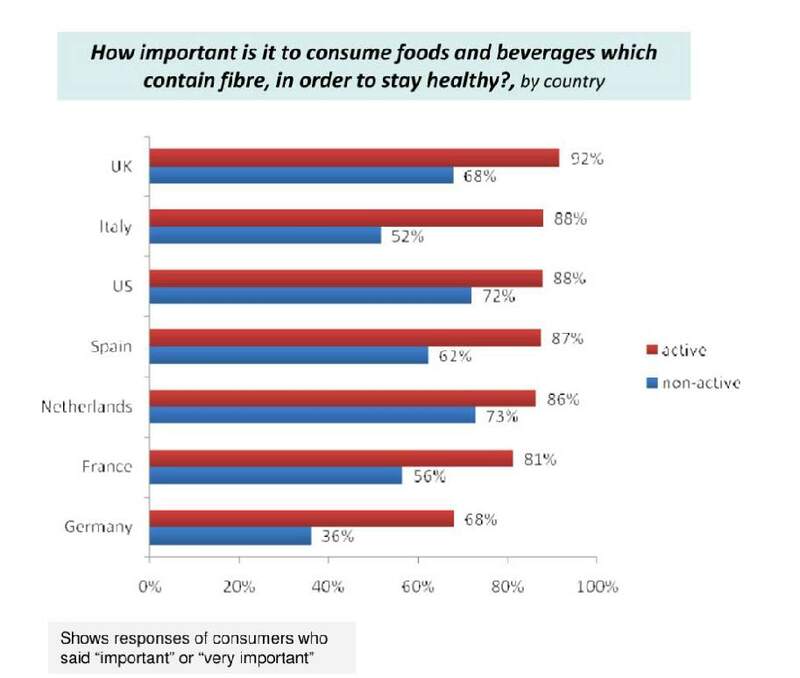 The survey showed consumers increasingly care about their digestive health, which they perceive to be important for general health. With growing attention to digestive health, they are increasingly seeking prebiotic and probiotic food products, such as yogurt and other fermented foods, to help optimize digestion. Interestingly, consumers are increasingly aware that their daily diet does not include all required nutrients in sufficient amounts. At the same time, they tend to be unwilling to change their eating habits and instead look for products that offer these additional benefits. Here are five very different dairy foods from around the world that all deliver fiber, as well as speak to other health and wellness attributes today’s consumer is seeking. They all contain the dietary fiber inulin, which can be used to replace sugar and fat while improving taste and mouthfeel in dairy foods. In indulgent products, inulin can act as an extra layer of richness without the extra calories. It has also been shown to assist with syneresis in cultured products. 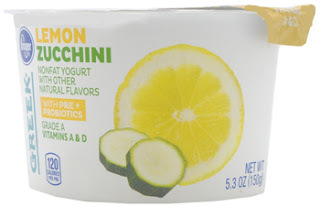 In the U.S., Kroger is rolling out a unique spin on Greek yogurt. 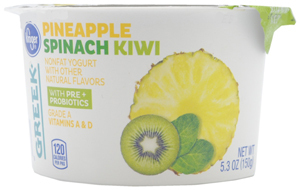 The new non-fat line combines fruits and vegetables, and is described as probiotic and prebiotic. Varieties are: Blueberry Cucumber, Cherry Beet, Lemon Zucchini, Pineapple Spinach & Kiwi, and Spiced Apricot & Butternut Squash. Each 5.3-ounce cup contains 120 calories, 15 grams of sugar, 13 grams of protein and 3 grams of fiber. 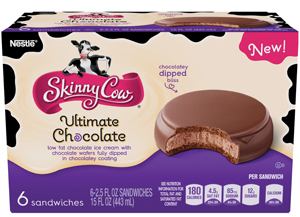 Nestle USA expands its Skinny Cow franchise with Ultimate Chocolate ice cream sandwiches. This 180-calorie frozen novelty is low-fat chocolate ice cream sandwiched between two chocolate wafers and dipped in chocolatey coating. Each sandwich contains 9 grams of fat, 12 grams of sugar, 3 grams of protein and 2 grams of fiber. The line also includes Creamy Caramel and Vanilla Bean Dream varieties. In Italy, the Philadelphia cream cheese brand now includes a unique appetizer-style cheese: Philadelphia Sensations. The concept resembles cheese tortes currently in the marketplace, but is different in the sense that it is filled cream cheese rather than layered. The product come packaged in a unique wrap that allows it to be served plated as a fanciful cheese spread. It comes in three varieties: Classic, Olive and Sundried Tomato. This is an example of where low levels of inulin slow syneresis. In Switzerland, new Emmi Energy Milk comes in Banana, Chocolate, Mocha, Strawberry, Vanilla and limited-edition Dare Devil varieties. The latter is flavored with mango and chili and is the first spicy drink that Emmi has ever launched. Each 330-milliliter shelf-stable carton provides around 280 calories, 8 grams of fat, 33 grams of sugar, 11 grams of protein and 4 grams of fiber. The product is also fortified with multiple vitamins and minerals. And lastly, in Canada, there’s new JillyV’s Jump Starter. Packaged in clear plastic containers so consumers can see the layers of product, Jump Starter combines organic yogurt, oats and chia, and is topped with fruit compote. Varieties are: Berries, Lemon, Raspberry and Strawberry. Each 227-gram serving contains 270 to 290 calories, 6 to 7 grams of fat, 19 to 23 grams of sugar, 10 to 11 grams of protein and 7 to grams of fiber, depending on variety. The fiber comes from the chia, oats and inulin. What makes this product line different than similar grain-style yogurts is the optional JumpPack. 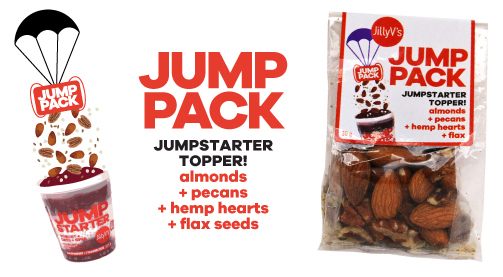 Sold separately, JumpPacks include toasted almonds, pecans, hemp hearts and ground flax and can be added to the Jumpstarter for an extra nutrition boost. Hope to see you at Expo West!